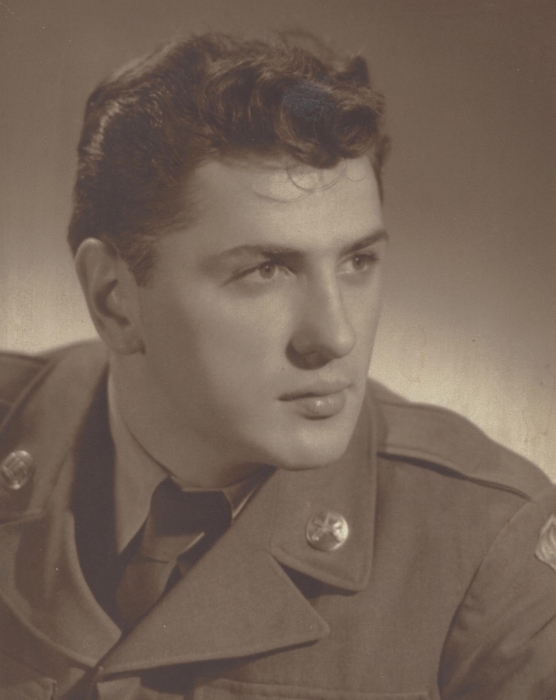 Ernest C. Coster, age 86, of Petoskey (formerly of North Branch) passed away on Saturday, April 21, 2018 at Hiland Cottage in Petoskey with his family by his side. Ernie was born on August 8, 1931 in Pontiac, the son of Ernest and Madeline (Schubert) Coster. Ernie grew up in Pontiac and graduated from St. Michael’s High School in 1949. Ernie proudly served his country in the U.S. Army. He married Jeanette Lebert in 1954. He was foreman for Vassar Manufacturing for over 20 years. Ernie was a member at SS. Peter and Paul Catholic Church until his health failed him. Ernie enjoyed working on his farm and took pride in maintaining his farm and the pond. The Coster Family held many family reunions at the pond. He is survived by daughters, Patty (Henry) Dallaire of Petoskey, Liz (Robin) Cichoracki of Fostoria, and Cathleen (Robert) Saunders of Lapeer; son, Joe (Erica) Coster of North Branch; sister, Geraldine Coyle of Lake Orion; 14 grandchildren; 19 great-grandchildren, and he proudly waited to receive the two great-great-grandchildren who are not born yet; many nieces, nephews, and cousins. He was preceded in death by his parents; wife Jeanette; sons: Ernest (Rennie) and Mike; brother Carl Coster and 2 grandchildren, Gabriel and Robert. In lieu of flowers, memorials may be directed to: McLaren Foundation in memory of Ernest Coster. The family will be present for visitation on Monday, April 23rd from 1 PM to 8 PM with a Rosary at 7 PM and on Tuesday, April 24th from 10 AM to 11 AM at Blackburn Chapel-Martin Funeral Home. The Funeral Service will be on Tuesday, April 24th at 11 am at the funeral home with Deacon Pete Lynch officiating. Military Honors will be conducted by the North Branch American Legion Post #457. Ernie will be laid to rest next to his wife Jeanette at SS. Peter and Paul Catholic Cemetery, North Branch.